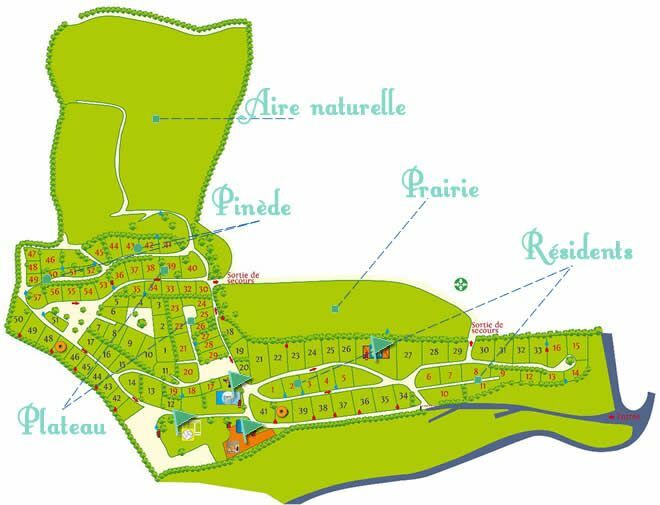 – The Prairie Zone is a field with camping sites huddled against the trees, from which you will have an amazing view of the fields and the old farmstead “Fontayne”, which was once a fortified stronghold of the Knights Templar. – The Residential Zone is a more crowded field with mobile homes and camping sites that are located close to sanitary facilities. – The Pinède Zone is made up of friendly and shady camping sites underneath the pine trees that will provide some cooling. Different heights on different floors that have been constructed earlier. – The Plateau Zone is a field with grass and trees, which is located the closest to facilities such as the swimming pool, the reception, the restaurant and playgrounds. – The Aire Naturelle Zone is for adventurers, who prefer wild nature. This zone has big sites and is very tranquil due to the largest distance to facilities.